For decades, NSW has been governed by a complex and heavy-handed bail system under the Bail Act of 1978. NSW bail laws have been particularly harsh on juveniles and vulnerable people, but that has now changed with the commencement of the new Bail Act 2013, which came into effect on May 20. The need to change the bail system was long overdue. As a result of a referral from the NSW Attorney-General, the NSW Law Reform Commission undertook a fundamental review of bail law in 2011. 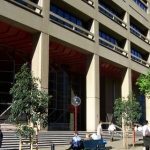 The outcome was that the commission provided the NSW Government with a comprehensive report which recommended a major overhaul of bail law. Following a review of that report, the government decided to develop a new Bail Act to achieve protection in the community, consistency in decision-making and simplicity in the process of NSW bail hearings. The key feature of the government’s new bail model is that it operates without a system of offence-based presumptions. 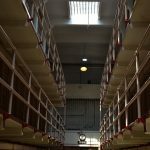 Under the old Bail Act 1978, there was a complex structure governing which offences presumed a right of bail, and which offences had a presumption against bail. This created a backlog of cases where lawyers were arguing why the presumption against bail should not apply in the defendant’s case. For example, if an alleged offender was charged with an offence which did not presume bail (such as armed robbery) then they had to apply for bail in a bail hearing in the supreme court. A bail hearing took time to prepare and to come before the court. As it was before a judge, the outcomes were often inconsistent and each outcome largely depended on the case presented. Ultimately, the terms “time consuming” and “confusing” could be applied to the old system of NSW bail hearings. The recent amendments do away with this old system of determining which offences have a presumption of bail. Endangering the safety of victims, individuals or the community. Interfering with witnesses or evidence. The bail decision is not necessarily dependent on the offence that has been committed. There will be a right to release for most summary offences, or fine-only offences. 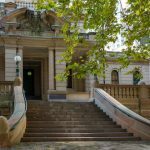 In a NSW bail hearing, a lawyer needs to satisfy the judge that the accused does not present an unacceptable risk in any of the above areas in order for bail to be granted. If the judge is satisfied as to the risks, the accused person will be released on unconditional bail. However, if the judge is satisfied an accused does present an unacceptable risk, the judge will assess whether the risk can be mitigated by the imposition of conditions (such as non-association orders, curfews or place restrictions). If the judge is satisfied that the risk can be mitigated by conditions, the accused will be released to conditional bail. If the judge is satisfied that the risk cannot be mitigated, the accused will be remanded in custody until trial. The accused person’s background, including criminal history, circumstances and community ties. The nature and level of seriousness of the offence. Whether the alleged offender has a history of violence. Whether the alleged offender has previously committed a serious offence while out on bail. 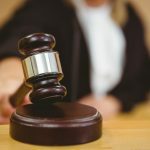 Whether the alleged offender has a pattern of not complying with bail, or other orders such as parole, a good behaviour bond, or an Apprehended Violence Order (AVO). Any special vulnerabilities or needs the person has, such as their youth, Aboriginal and Torres Strait Islander status, or cognitive or mental health impairment. The length of time the person is likely to spend in custody if bail is refused, or whether there is a likelihood of a prison sentence. This new model is intended to be simple, clear, and easy to apply in NSW bail hearings. The Act only came into effect late last month. So whether it has in fact simplified the system remains to be seen. Various legal groups, including the Public Interest Advocacy Centre and Legal Aid, have given their approval of the commission’s recommendations and the new legislation. It is hoped that the Act will achieve transparent and consistent bail decision-making that strikes an appropriate balance between protection of the community, and protecting the individual rights of those caught up in the criminal justice system. Are the New Bail Laws here to Stay? Refused Supreme Court Bail? You May Have Another Chance. Should Entrapment be a Defence in Australia? 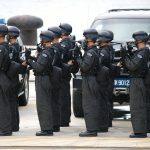 Section 234AA: What Happens If You Are Caught In A Restricted Area At The Airport?